The following article appeared today on the TSN web site. It's good to see the Staal brothers getting the recognition they deserve. Eric Staal: Oh Brother, Where Art Thou? Perhaps the most promising hockey family since the Sutters is a quartet coming out of Thunder Bay, Ontario -- the Staals. Leading the brigade is just-turned 21 year-old Eric, the second overall pick in the 2003 draft, who is enjoying a breakout season with the Carolina Hurricanes. Staal had moments, both good and bad, during his rookie season, ending up with 31 points in 81 games. While the total was respectable for an 18 year-old, it was punctuated by a 33-game goal-scoring drought in the second half of the season; call it part of the learning process. During last season's NHL lockout, Staal went to Lowell of the American Hockey League, put on some muscle and honed his game, ending up with 77 points in 77 games and showing that he could, indeed, be a playmaker. Just as importantly as the point totals, Staal bulked up his 6-foot-3 frame to 200 pounds, making him much more capable of battling with the more physically mature players he competes with on a nightly basis. 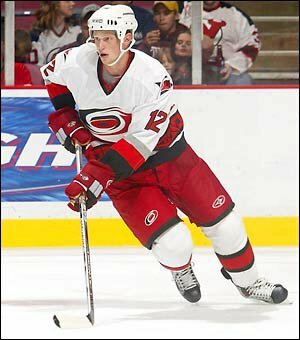 Continuing that momentum in the National Hockey League this year, Staal is the leading scorer in the early going of the 2005-2006 season with 22 points in 11 games for the Hurricanes. "The amount I played last year," Staal recently told the Canadian Press, "I saw what I could do playing at that pro level and it made me feel more comfortable and confident to do things up here." But, this quick start may only be the beginning. 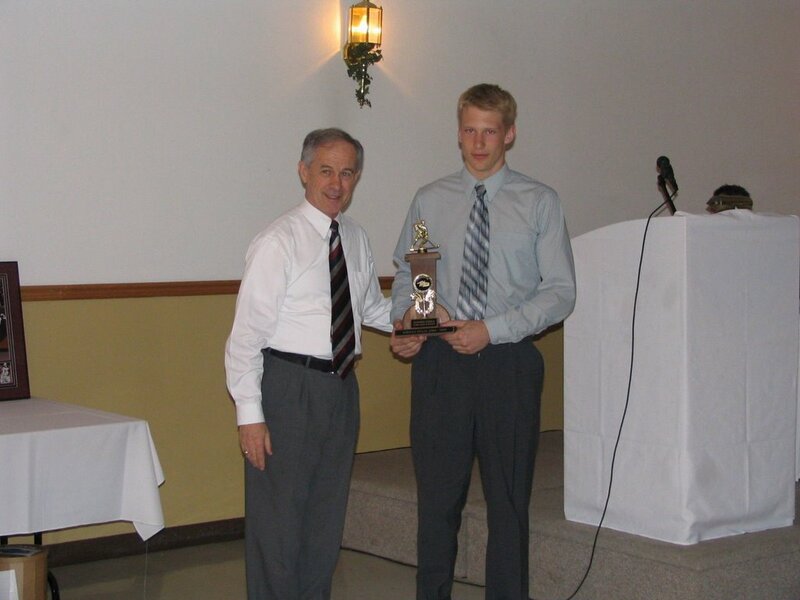 Marc Staal, 18, is a defenceman with the Ontario Hockey League's Sudbury Wolves and was drafted by the New York Rangers, 12th overall, in the 2005 entry draft. At 6-foot-3, 196 pounds, Marc projects to be even bigger than his brother, but he plays a similarly intelligent game and, after impressing coaches at Rangers camp this year, he's off to a terrific start in the OHL, with 15 points in 14 games. With two first-round Staals already in the books, it appears that Jordan, a 17 year-old centre with the Peterborough Petes of the OHL, is well on his way to being the third. A lanky pivot, Jordan Staal scored 28 points as an OHL rookie last year, but he's taken the next step in his development this year, tallying 20 points in 14 games. Already 6-foot-3 and 200 pounds, it seems a given that Jordan will follow the same pro path as his older siblings. Projecting even further down the line, 15 year-old Jared Staal is playing Triple-A midget hockey in Thunder Bay, and will enter the OHL draft next summer. Is it conceivable that all four brothers could be first-round NHL picks, matching the mark set by four of the six Sutter brothers (Brent, Duane, Rich and Ron)? Could all four Staal brothers become NHL stars? The pressure on the younger brothers will only be intensified as Eric continues his progression as a star player, but all four grew up playing on the same backyard rink on the family farm and, as far as projections go, there's no reason to think that all four won't be able to at least enjoy prosperous careers. To that end, kudos are due to Eric for not only blazing the trail, but for doing it so quickly in spectacular fashion.